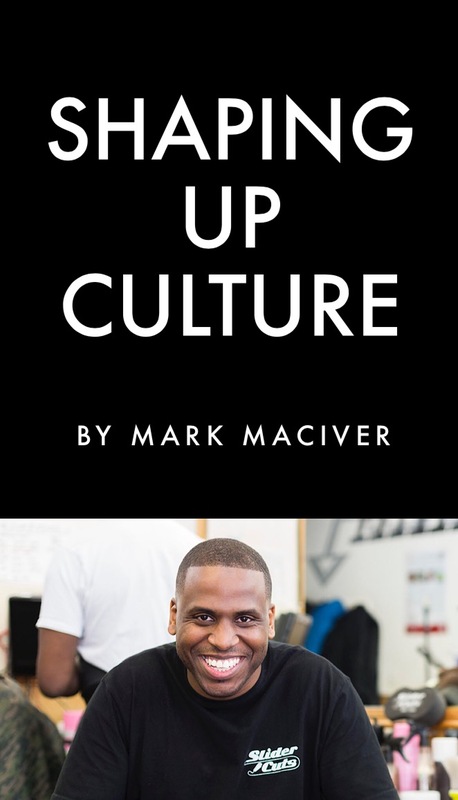 NEWS: MARK MACIVER TO RELEASE DEBUT BOOK "SHAPING UP CULTURE" IN OCTOBER! "Over a decade's worth of experience goes into every SliderCut. So when you take a seat, the focus is on you." A true professional, a true friend and an inspiration. More than just a haircut or a barbershop, SliderCuts Studios is a place to connect with the community, talk, debate, laugh, cry and everything in between. Shout out SliderCuts. Mark Maciver is known to many as a role model. I see Slider as a true community man who does things out of love. Much respect to him and for putting up with my weekly boxing talk in the chair haha. Mark has always been an integral part when it comes to my grooming regiment. In my opinion he’s mastered the art of professionalism and service, making his customer and their desired look (as well as his advice on different styles) the centre of attention during appointments. Mark is a talented professional who takes business seriously. He has a huge heart and has always kept noble and humble in his character.